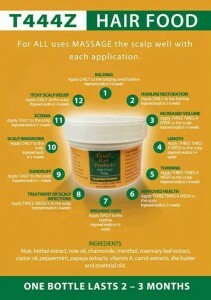 This chart shows how fantastic T444Z Hair Food is for all kinds of scalp and hair problems. Try it and see for yourself! !